Hello! Welcome to my 1st post on my 1st Blog ever!! I'm so excited! I hope you will enjoy what I have to share and I'm looking forward to your comments and suggestions as I go along. As you all know yesterday was Halloween-which happens to be my favorite day of the year! Every year at work we do this little thing where we "Boo" each other-there's a little print out with a poem and some instructions and basically you secretly leave a little Halloween gifty and that person pays it forward and "Boos" someone else. 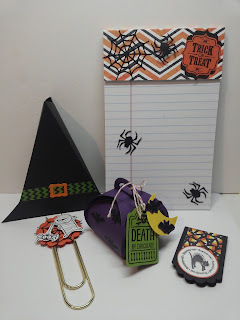 So I'm sharing with you today the gifts I made to "Boo" someone. I like making cards but I really like making these little kinds of things! 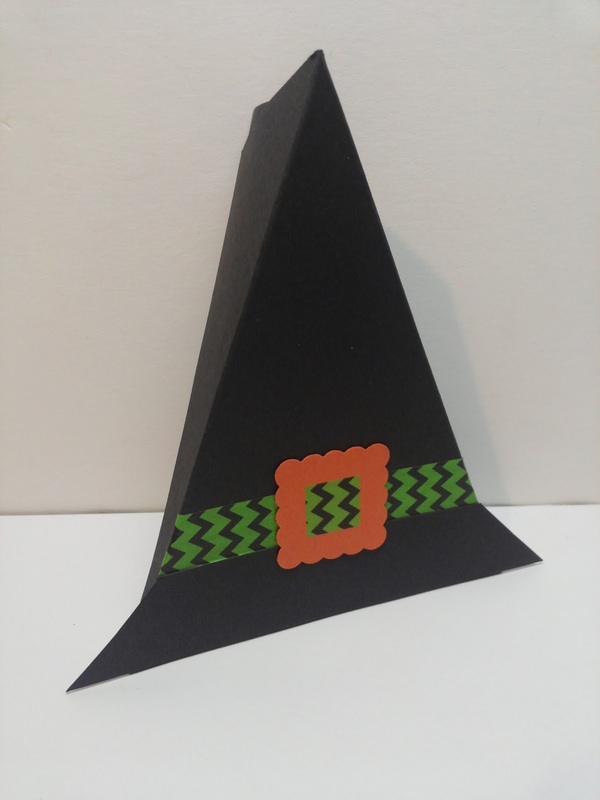 This little Witch's Hat is just too cute! It has an opening at the top where you can add candy! 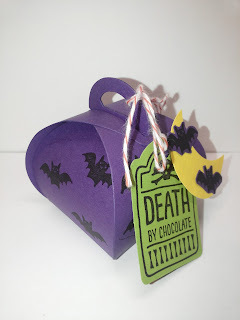 I absolutely love Stampin Up's Curvy Keepsake Box Die! You can make so many things with it! 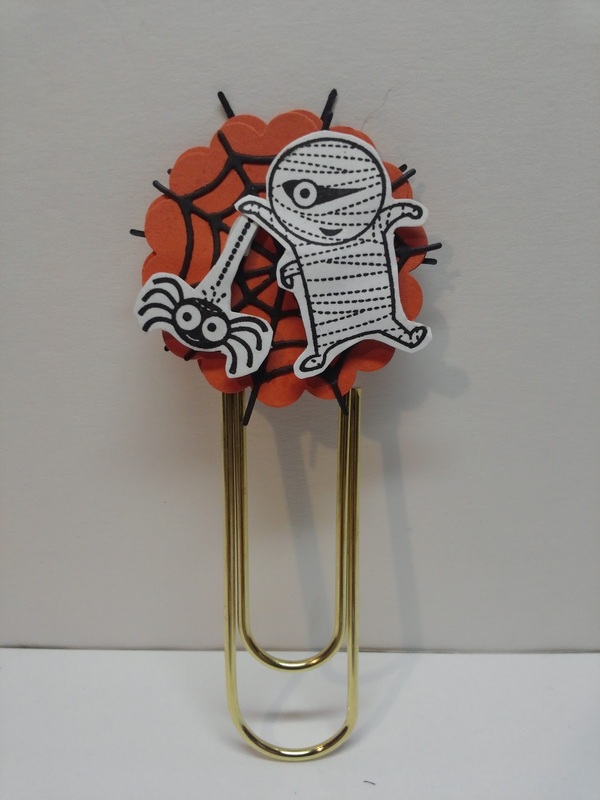 Who doesn't love huge giant paperclips!! A few glue dots and it goes together very easily! 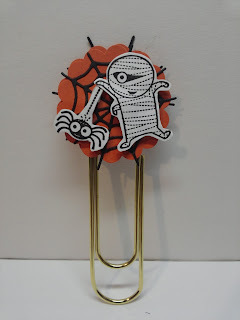 Magnetic Book Mark! 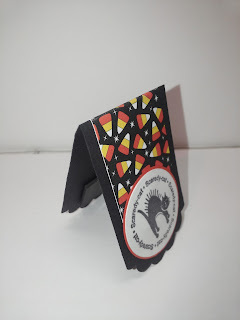 This was the 1st time I made these and I ended up making a ton for a craft show I have coming up! So cute! 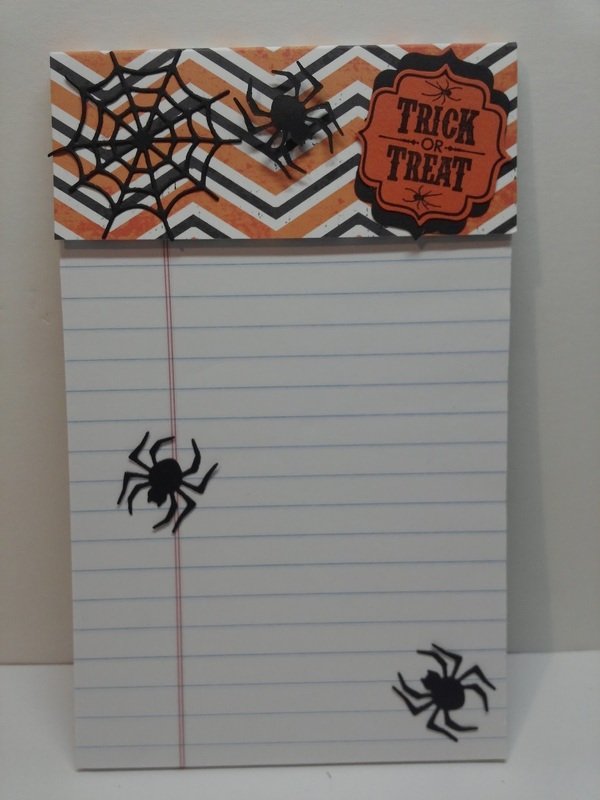 This was super easy-just attached some cardstock over the top edge and decorated! On future posts I will include instructions and links to some projects. I'm just learning how to do all this so please bear with me! I hope you enjoyed what I shared today! 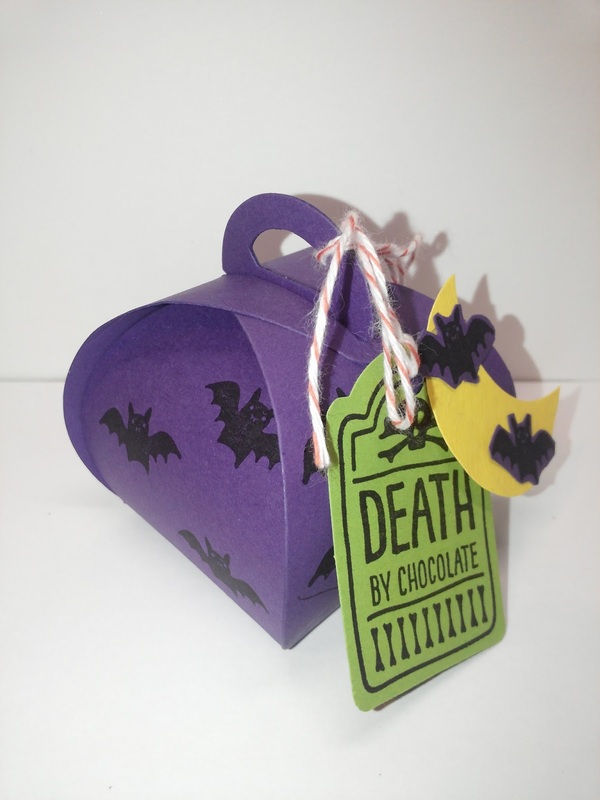 The little "Death By Chocolate" box is GREAT for Halloween! Thanks for sharing these ideas. I look forward to seeing more. Welcome to blogging!